Very thoughtful, very practical, very inspired, very inspiring. I'm a better missionary after reading this book. Thank you Brother Christensen. Well done! 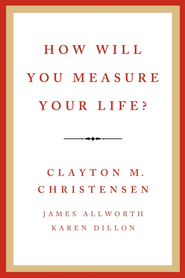 Clayton M. Christensen is a Professor of Business Administration at the Harvard Business School. In his book he breaks down member missionary work into three categories of finding people to teach, teaching towards conversion, and building the kingdom of God. This book isn’t just a step by step book of what to say and do, but is all based off of personal experiences from his life and from others. Most of the book is based around the idea of sharing the gospel with others at work in a comfortable and “normal” way. I really enjoyed this book, and would not suggest it to everyone, but to those who really want to do missionary work. If a person reads this without the intent to learn from it they will probably doubt that anyone can have the same experiences like the ones shared in the book. When I was reading this I continually had impressions come to mind as to with whom I could share the gospel and what I could say. That was my favorite part of reading this book, the fact that the majority of the time I was having ideas come into my mind while hearing the success of others. I then felt a renewed desire to share the gospel with everyone, no matter where I was. The Power of Everyday Missionaries is an incredible book. It speaks very boldly and plainly about sharing the gospel and gives some simple suggestions on how we can be better member missionaries. It is a quick read and is one of those books that is hard to set down once you have picked it up. This book helps you to be able to feel Heavenly Father’s love. 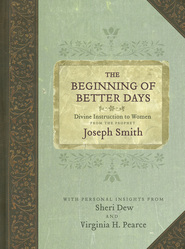 In the introduction of the book it says, “And every time you take someone figuratively by the hand and introduce him or her to Jesus Christ, you will feel how deeply our Savior loves you and loves the person whose hand is in yours.” The strength of this book is how it uses stories and examples to show you how easy it can be to be a member missionary. The weakness of this book would have to be how short it is, I wanted more and for it to keep going! What an amazing book! I listened to the audio, which was brilliantly recorded, with great pronunciation of even foreign words, and my heart was touched. This book inspired me to share the gospel in ways I didn't even think about, with people I hadn't even thought about. I want to buy a copy for everyone in my ward and family! This book explains things that I had never known about how to live the gospel, even as a life-long member. This book is great for ward mission-leaders, youth leaders, or practically anyone who feels that their efforts to share the gospel are a little lacking. Please share this! Wow! I read the book, got inspired, began sharing the Gospel and, had success! it was that simple. He helped me put my pride aside and get to work. Great book and real good service with Deseret Book. This book totally changes my perspectives on member missionary work! It is so easy to preach about it when your a missionary, but when you get home it becomes so difficult. I honestly didn't know how a book about missionary work could be enjoyable. The writing is very approachable and the real life examples are amazing. It now seems achievable to share the gospel in everyday conversations without alienating friends and loved ones. I appreciate his frank honesty about what things did not work... (like making a list). Every single member should read this book. There is no work more important! I loved this book. He gives great examples and shows you that missionary work is far more fruitful than we can imagine. The Lord wants us to bring his sons and daughters back. It is a great book on how we need to trust God so that He can trust us with His children. Easy read. The reader will see the faith of a modern day Nephi in action! I thought I had heard most of Clayton Christensen's stories because I know him, lived in Boston for 3 years and have read several of his books, but this book is new and innovative. He just never stops learning and coming up with new insights in how to do everything from missionary work and parenting to health care and managing businesses. His chapter on Internet missionaries is just one example of this. His faith just keeps growing and it is very inspiring to read his personal thoughts and experiences. He really is an everyday missionary and will teach you how to become one too. Excellent book! Excellent perspective about the as-is nature of sharing the Gospel. I find myself correlating Clayton's experiences and insights with the hastening of the work. I especially appreciate his articulation of the leadership challenge of missionary work. We really do catch the flame of missionary work by doing it. The articulations of how are wonderful. My wife and I used the principles in this book and we were able to share the gospel with a family that have become dear friends of ours. They have all gotten baptized and it was an amazing experience for us and our children to be participants and witnesses in the miracle of their conversion. Thank you brother Christensen! My sister sent a copy of this to me. I have to confess that I probably wouldn't have read it without her encouragement. But once I started, I couldn't put it down. And now I can't stop talking about it! It makes missionary work seem so much less intimidating. I'm going to buy copies to pass around among ward friends. I love this book! All my life I have wanted to be a better member missionary. This book is an inspired treatment of how a church member who has a desire to have missionary experiences can and will have them. The process is so do-able, and the rewards so great! Thank you, Bro. Christensen, for taking the time to share your experiences and what you have learned with the rest of us non-natural but willing and hopeful missionaries. As a convert who has tried to be an active member missionary since my conversion in 1978, I knew I had a lot to learn about sharing the Gospel of Jesus Christ with family and others. This book successfully points out the most loving and caring ways to share this message with others. It all makes so much sense, that I have wondered why I hadn't figured it out myself before. When I look back at my own conversion I realize that my own testimony developed when members were doing these things. A ward member bought these books and handed them out at a ward council meeting for us to read and pass along. I am ordering more to pass around immediately. I want to keep a copy for myself. All families need to understand these beautiful principles. This book will quickly change the world. ABSOLUTLY AMAZING FOR EVERYDAY MISSIONARY IDEAS! This book is wonderful! It is a must have for every member of the church! It provides you with not just ideas but real life examples to help you in your daily missionary efforts just as we have been asked to do. Just as the Prophet Joseph smith said "after all our greatest duty is to preach the Gospel." Just in the Past month from using just a few of the principles in this book we have brought 5 people to start learning about the Gospel from just simple invitations! One of the world's most brilliant thinkers has studied, thought through, and come up with the greatest ways for every member to be a missionary. It does not surprise me at all that this book comes right after the prophet's announcement to lower the age of the missionaries and the announcement of 58 new missions. Now all members need to digest this incredible book so that we can help the missionaries and be an instrument in the Lord's hand for spreading His gospel. It's critical in our time. You'll never find a better book than this. This book is the best synopsis of member missionary work that I have ever seen. This is an incredible resource for member missionaries. It is a must read for every new mission president, stake president, bishop and ward mission leader. The book describes simple and effective missionary tools that are easy to apply. The missionary accounts demonstrate how the tools can be used. Please, please read this book! This book has changed the way I look at the responsibility EVERY member has to share the gospel and, even more importantly, has told me HOW to do it. It gives the specifics of how to share the gospel -- something I've always thought was missing from lessons given on Sundays. Leave it to the world's expert in disruptive technologies (things like ipod and iphone) to change the entire world of missionary work. It's a TOTAL game-changer. For example he shows why it cannot be against business/employment policy to share the gospel any more than they can prohibit discussions of politics or sports at work. Then he walks you through how to talk to your co-workers, even up to the CEO, about the principles of the gospel which are really principles of pure truth. Times this example by 10 and you start to get an idea of just how amazing this book is. If you read this book, you will never be the same.